This Endon Viviana large 15 light champagne crystal chandelier in polished chrome finish is a modern take on the classic crystal chandelier and features a tiered frame dressed in K9 crystal coffin drops. Circular ceiling mount, chain suspension and circular frame in polished chrome containing the fifteen lamps, with wider second tier and tapered lower tier. Each tier is covered with faceted hanging K9 champagne crystal coffin drops to create a magnificent waterfall that glistens and sparkles when illuminated. 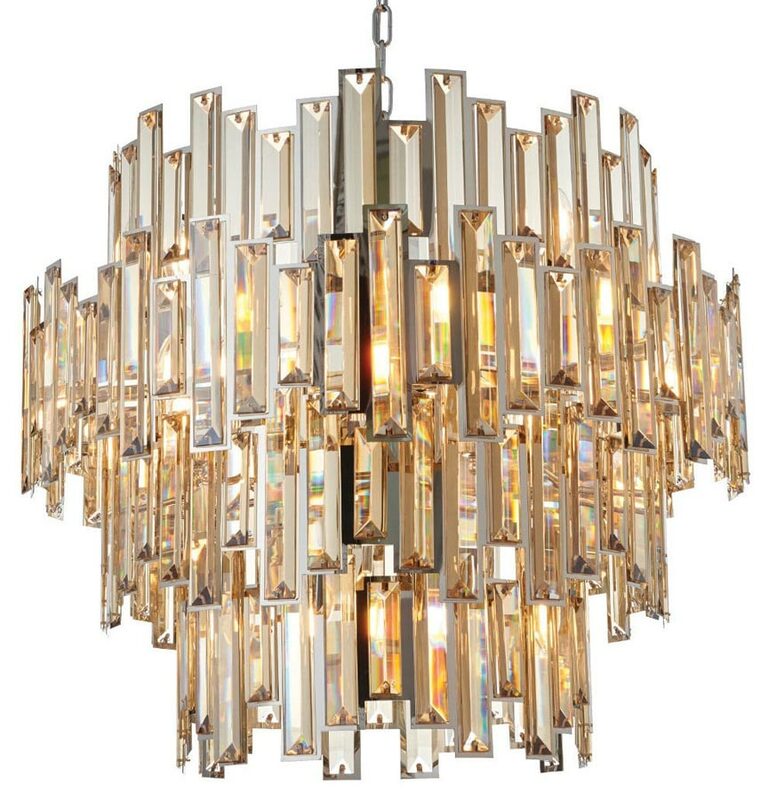 This is a large, luxurious crystal ceiling light that adds the wow factor to any room. Modern in style and beautiful in application, it boasts an instant impact and looks fantastic in a variety of interiors. Capture the glittering ambience of crystal in any space whilst adding a focal point to any contemporary living room, bedroom and hallway or over a dining table. 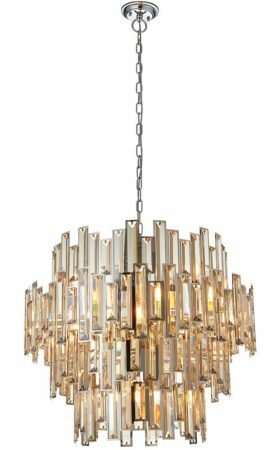 Please note: This chandelier has a minimum drop of 80cm, weighs in at over 26kg and must be attached to a ceiling joist; please ensure that it is suitable for your installation prior to purchasing. Height adjustable at the time of installation by shortening the chain suspension, please see the technical information below for dimensions. 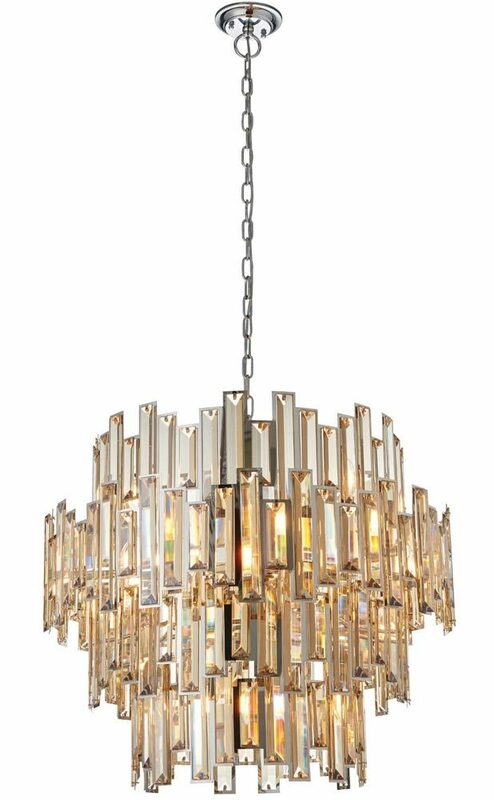 There is a smaller twelve light chandelier available in the Viviana crystal lighting range that can be viewed below. Manufactured by Endon Lighting, a design led business who lead the way in style and innovation to create an impressive range of products such as the Viviana large 15 light champagne crystal chandelier in polished chrome finish you see here.